The Healthbeds Weekender pocket spring guest bed comes with a 2 medium tension pocketed spring mattresses as per the picture for a medium feel. Each bed has the option of having the mattresses zipped together to make a larger bed, or unzipped to form 2 separate beds. The mattresses are full size 36" wide x 75" long and are made with hypo allergenic fillings and are fully turnable. 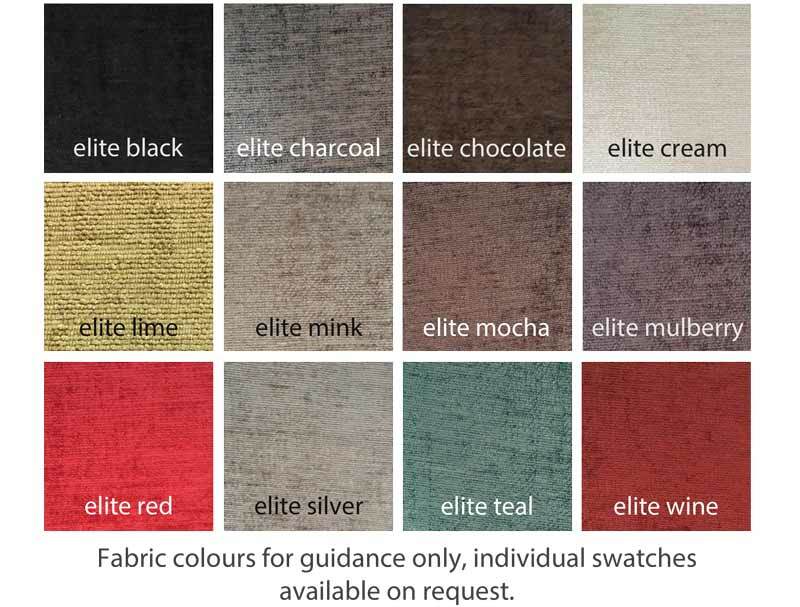 The weekender is also available in a choice of 6 different fabrics. 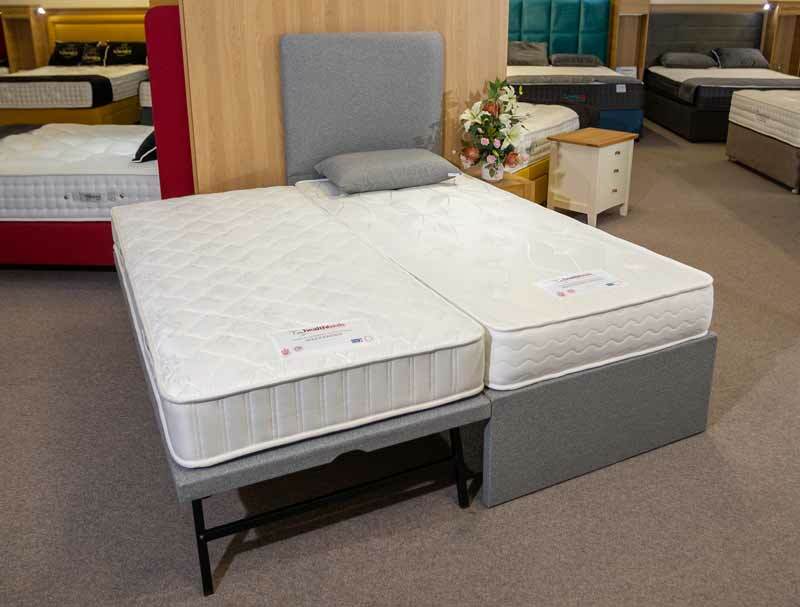 The top base is slightly longer so that the bottom mattress can be the same length as the top bed thus giving you 2 x 3ft x 6ft 3" long mattress or zipped up to 180 x 190cm long.